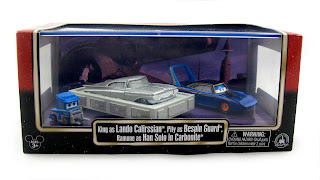 On Monday, I started posting about my brand new 2015 Star Wars Weekends Pixar cars (the main single packs- if you missed that post, visit it HERE). 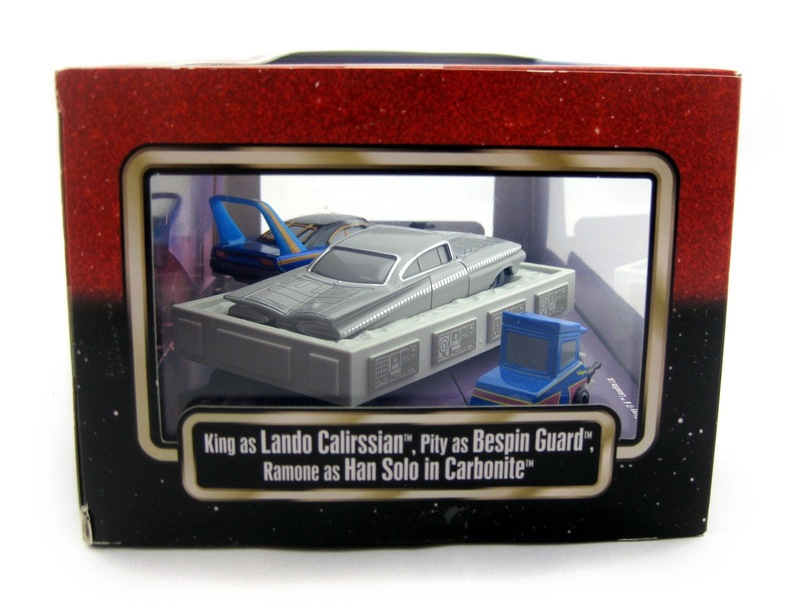 Today, the collection continues with this fantastic Bespin/Cloud City 3-pack boxed set featuring The King as Lando Calirssian, a pity as a Bespin Guard and Ramone as Han Solo in Carbonite! 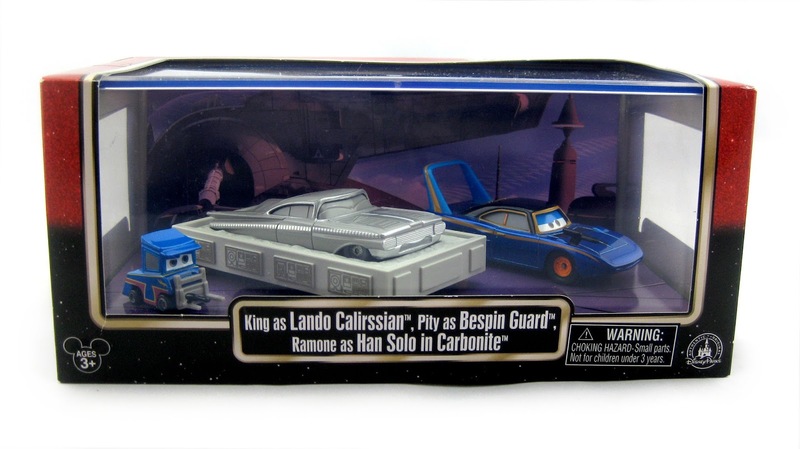 I love how Ramone "reprises his role" as Han Solo here (he was released as Han Solo in the 2014 wave). 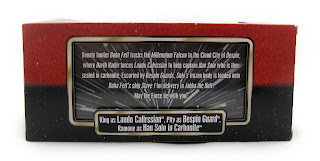 Putting him in Carbonite here in this set was genius! The pitty and The King as Lando are also pretty hilarious. Great choices. 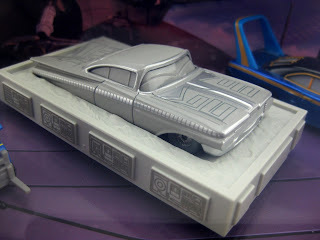 The box is a really nice collector's piece. It's a plastic/acrylic material, so it's pretty sturdy. 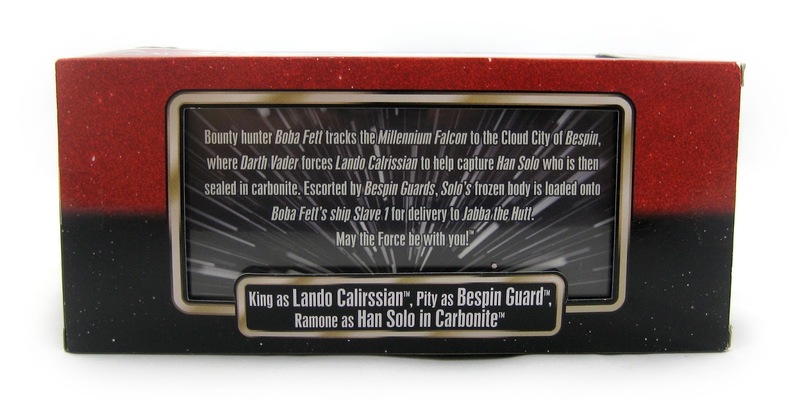 I love the backdrop featuring the Cloud City landing platform and the Slave 1 as well! 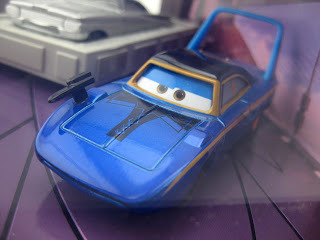 These are all 1:55 scale diecast cars, but are not actually made by Mattel. 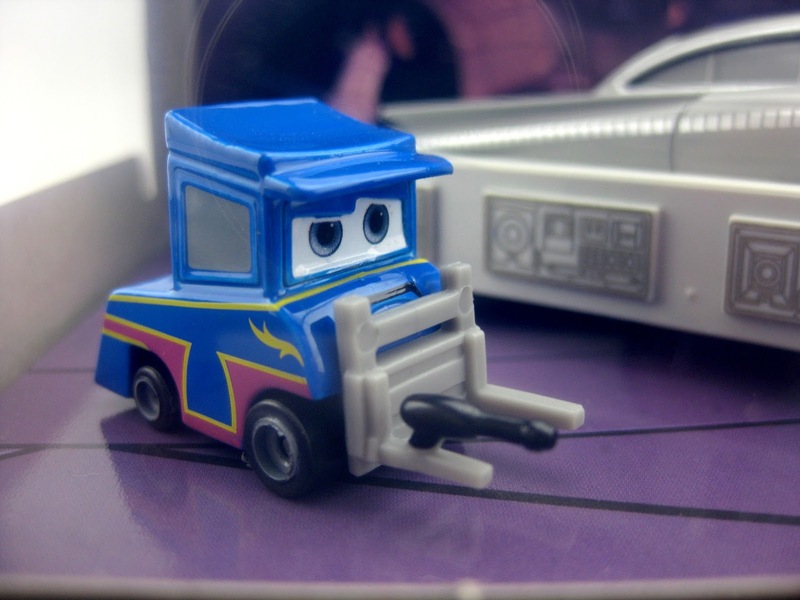 They do fit perfectly with Mattel ones though, you wouldn't even know the difference. 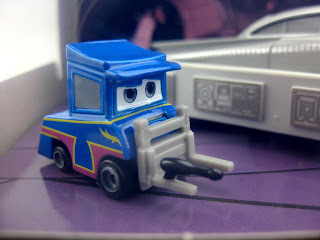 Also, since this is Disney Theme Park merchandise, they are quite a bit more pricey than standard Mattel cars (as expected). This 3-pack retails for $24.99 and can be found at Walt Disney World now. But WAIT! Yup, there's even more. Be sure to visit right here tomorrow to check out that last couple items just released from this collection. It's not over yet! Stay tuned.